The Lafayette College steel bridge team turned heads at the 2018 nationals this year with their speed, their ingenuity, their teamwork, their… rain gutters? 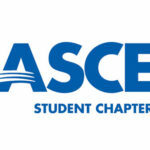 Easton, PA-based Lafayette took first place in the overall standings at the 2018 National Student Steel Bridge Competition, hosted by the University of Illinois at Urbana–Champaign ASCE Student Chapter. And yes, rain gutters played a crucial role in their victory. 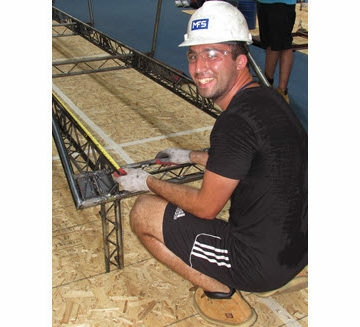 The Lafayette team set up the gutters on an incline to function as chutes, allowing members to transfer bridge parts to each other across the competition’s (imaginary) river. This allowed the team to build along the larger, more open side and run from the shorter side, making for a faster, more efficient process. Interestingly, scoring the fastest time wasn’t their objective. Neither was aiming to build the lightest bridge. 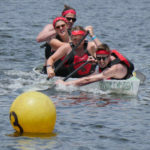 Lafayette eschewed strategizing for individual category wins in hopes of claiming first place overall in the competition. Once again congratulations to Lafayette College for over all winner of the 2018 NSSBC! Watch how they built their bridge! Can you say innovative? Lafayette finished first in the overall standings for the first time in school history. Second place went to Cal Poly, San Luis Obispo, and École de technologie supérieure of Montreal, Quebec, Canada, placed third. 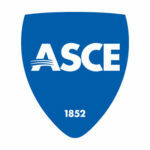 ASCE and the American Institute of Steel Construction cosponsor the event each year. Lafayette’s win was particularly exhilarating for longtime faculty adviser, Professor Steve Kurtz. The rain gutters weren’t Lafayette’s only innovation at the competition. The team decided early in the school year – albeit after what Shoemaker termed “heated debate” – that it would construct a truss bridge. It was an ambitious plan not without risk, because the new rules this year forbade temporary piers during construction. One of the most challenging aspects of the steel bridge competition is how the rules and regulations change from year to year. The rules committee keeps teams on their toes. What worked for one team this year may not work the next year. But the Lafayette students thought they could develop workarounds for their tied-arch bridge design. One, they built the bridge girders first and put the diaphragms in early, so that the structure stabilized quickly during the construction process. Add in the rain gutters and it was an impressively innovative bridge production from the Lafayette squad. Which really is the whole point, right? It’s not a coincidence that the team’s motto over the course of the school year was: Every decision must be an engineered decision. Also not a coincidence – all nine graduating members of the team have already secured full-time civil engineering work along the East Coast, starting this summer. “Having a project like steel bridge that’s a year long and has such a well-defined set of rules, it really gave us an opportunity to do a level of design and analysis that you typically don’t get in an undergraduate experience,” Shoemaker said. “The project goal all along wasn’t simply to get an answer. Our goal really was to analyze, test, and design the best possible answer. The Lafayette team: Matt Baldino, Kelly Hogan, Dan Linkinhoker, Emily Maj, Dan Nicholas, James Roberts, Travis Shoemaker, Luke Smith, and Laura Strang. See the complete results, standings, and photo galleries from the nationals.